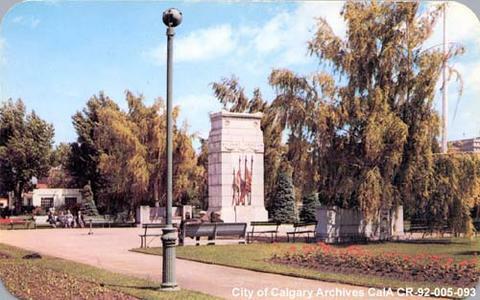 On verso printed in blue ink is: "WAR MEMORIAL in Central Park, CALGARY, Alberta, Canada, the famous Stampede city" and "Pub. by Northern Photo Services, Ltd. Winnipeg, Toronto and Edmonton. Printed in U.S.A"